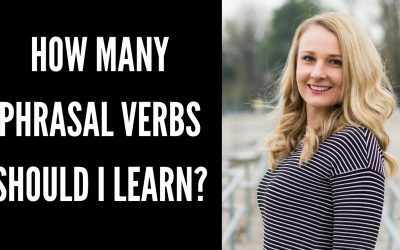 Learn these 30 common English phrasal verbs to improve your English vocabulary and sound more natural speaking in English. 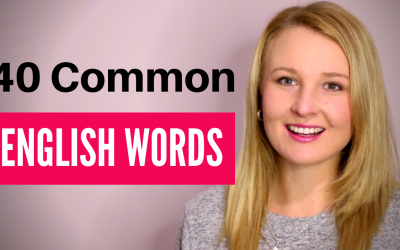 In this video lesson, we will go through 30 common English phrasal verbs, by different topics, to help you sound more natural when speaking in English. 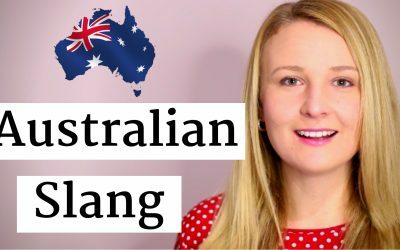 Below you will find the lesson notes and also more examples of the 30 common phrasal verbs we went through in the video lesson. I need to talk things over with you. The boss talked over the proposal with his partners and decided to approve the merge. Have you dealt with your problems yet? My sister is very good at dealing with pressure. We need to deal with the problems in our relationship right now. I have to face up to the fact that we’re never getting back together again. You need to face up to your responsibilities. She came up with a new idea for her shop. I can’t come up with anything that would make sense. We have narrowed down the list to four options. You need to narrow down the possibilities. Can you drop me to school? I will drop you near the bank on the way to work. I will drop it off later. You left your phone at my house, but I can drop it off on my way to work tomorrow. I pulled up at the traffic lights. He pulled up at the station. They drew up outside our house. The cab drew up outside my apartment. I drew up outside your house. He got knocked down by a bus. My friend was little when he was knocked down by a truck. My grandma was knocked down by a car. Two children were run over and died in the hospital. What heading does this information come under? This information comes under the paragraph about e-learning. She pointed out the incongruity in the documents. Unfortunately, I have nobody to turn to in case of emergency. You can always turn to me if you need to. My boss always turns to his secretary when he has troubles. It was difficult for him to understand the question, but he soon latched on. It was about time that he latched on to the truth. I can’t seem to latch on to this problem. I’ve just realized that I haven’t taken anything in. Her eyes brightened up when she saw him. .I brightened up at his words of encouragement. Don’t be so sad. Bright curtains will cheer up this dull room. My sister needs cheering up. She had an argument with her boyfriend. Is your brother still hung up on that girl? He’s too hung up about tennis. My sister is still hung up on her ex-boyfriend. I broke down and cried when I heard the news. My sister broke down when she heard that her friend died. Don’t be so excited. I think you should wait until he’s cooled down a little. My boss has put forward the suggestion of merging companies. I have to put forward the question of money. My proposal will be put to the board of directors. The merge will be put to the boss so that he can decide about it. I talked him around and we finally agreed on buying a bigger house. I didn’t want to get a bigger house but my husband talked me into it. She tried to talk him out of moving to London. I tried to talk my sister out of going to Brazil. Luckily, I talked him out of quitting his job. He tried to talk me out of moving to London. My sister wants to get ahead in her career. My son got ahead of the others in his class. I need to get ahead in my job, I’m lagging behind. I just can’t take on any extra work. I’m already too busy.My office is not taking on any new clients at the moment. My husband is so busy. He has just taken on some extra work. Our company is taking on new staff. My sister was taken on as a trainee. Now, she’s the head of department. I need to take on a new trainee. Wait a second, I’ll fill you in on the meeting. I need to fill you in on the latest gossip. Do you happen to know the latest rumour? I’ll fill you in! He resigned and handed over to his son. He handed over his responsibility to me.